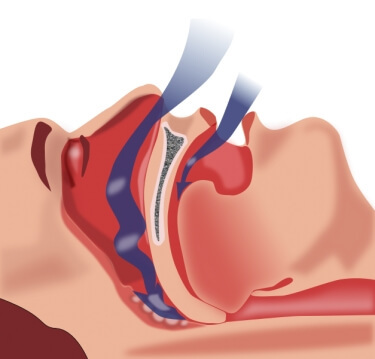 An alternative anti-snoring method or procedure to stop sleep apnea and snoring is a somnoplasty. The procedure is common and involves injecting radiofrequency energy and heat to create scar tissue in the back of the mouth and throat. 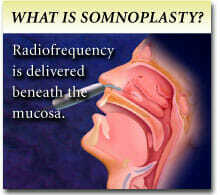 Somnoplasty is often referred to as radiofrequency ablations. Radiofrequency is heat generated from an electric alternating current. Ablation refers to something that has been removed by erosion, by melting or vaporizing. The doctor uses a slender tool that generates a current and vaporizes certain areas of tissue under the skin in the back of your mouth. This current will form lesions, which are damaged tissues or wounds, to be simply stated. The lesions will eventually start to form scar tissue. It takes nearly 2-6 weeks for the scar tissues to form, reducing the actual volume of the original tissues. Scar tissue usually becomes thicker and rougher than the original tissues were. The scar tissues, in turn, tighten in the back of your throat to prevent airflow from vibrating. 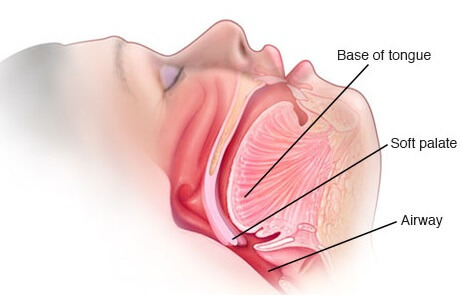 We all know that the vibration of tissues in the back of the mouth is what actually creates the sound of snoring. By creating the lesions (or scar tissue) in this area, it will prevent the sound of snoring from occurring. Most patients experience no snoring after the procedure, however, some patients may need to return to have the procedure repeated. If a person has more fatty tissues in the throat than normal, possibly due to being overweight, the doctor may have to make several attempts at creating the lesions. A somnoplasty does not require general anesthesia unless you specifically request it – you can talk with your doctor about that ahead of time. A good way to compare this procedure is to have a tooth pulled. The dentist will apply a topical anesthesia or inject a shot of localized anesthesia. This is the same process, however, the injection or topical anesthesia will be placed towards the back of the mouth near the tonsils and throat. A somnoplasty is considered an outpatient procedure and does not require an overnight stay. The actual procedure itself takes about 30-45 minutes depending on the doctor. Based on your age and condition, your doctor may admit you overnight to monitor your progress. This is usually done on rare occasions though. You can plan on taking just one day off of work to have a somnoplasty done. Most doctors approve their patients to return to work and normal activities the following day. Only minor swelling occurs after the procedure is done. Some patients may experience a sore throat for the next day or so. They may prescribe antibiotics to prevent infection or pain medicine to help with the inflammation and any minor pain you may feel afterward. The true cost of a somnoplasty varies and really depends on the type of insurance you have. It could be covered by your dental insurance or your regular health insurance. Typically one somnoplasty treatment costs $2,000. Most doctors recommend 2-3 treatments to achieve the best results. The entire process will most likely set you back about $6,000+ the cost of any antibiotics or pain medicine that the doctor may prescribe. Always check with your healthcare provider before scheduling such a procedure to ensure that it is covered. You can also ask the doctor’s office to check with the insurance company. If you do not have good healthcare coverage, and the procedure is not covered, be sure to ask the doctor for a cash discount. Sometimes, the office would rather discount you and get paid immediately, than have to file the insurance claim and wait weeks or months until they get paid. The side effects of a somnoplasty are actually very minimal. Since local anesthesia will be administered for the procedure, you may feel numb for several hours after you leave the doctor’s office. You will feel similar to having a tooth pulled, except the numbness will be towards the back of the throat, near the base of the tongue. It may be difficult and awkward to swallow, so stay away from eating or drinking until the numbness fades. Some patients experience a sore throat for 24-36 hours following the procedure. The electrode that administers the energy will prick you in 3-4 locations in the back of the throat in order to get underneath the skin. You will also have an injection of anesthesia, so between all of those entry points, you may feel some soreness and stiffness from where the needles entered the tissue. The lesions will form several weeks after the procedure is done. The lesions will actually shrink the mass of the tissues, since they will then be damaged, thus tightening up the actual area of the procedure. You may feel that the back of your throat is a bit tighter, but usually, it is unnoticeable. One of the greatest side effects is the stopping of your snoring! It may take several months to actually feel the effects of this procedure since many people will need to have at least 2 treatments before they notice their snoring is gone. The somnoplasty has been proven by studies that they are indeed effective. Most people who snore and have had the procedure done, claim that the somnoplasty significantly reduced the loud sound of their snoring. There is nearly a 95% success rate after 2-3 somnoplasty treatments have been administered. There are however a few factors that may prohibit the procedure from being effective but aren’t likely for the general population. If you have a deviated septum or a harsh nasal deformity, the procedure may not be as effective. Some doctors also ask patients ahead of time if they severe allergies or have experienced an infection of the upper respiratory system recently. As these, both can also impact the effectiveness of the somnoplasty. UPPP is asleep surgery that may include the removal of the tonsils or adenoids or both. The goal of the surgery is to widen the airway so that breathing will not be obstructed. This surgery actually moves the jaw forward so that the airway becomes larger. This procedure is one of the most effective surgeries out there to prevent sleep apnea once and for all. The downside is that the recovery time is about 6 weeks. 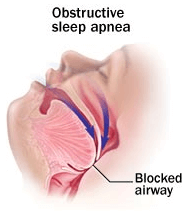 Due to this, the surgery is not usually the first type of treatment for sleep apnea. Though this is the most effective treatment, it’s usually the last option for most patients. There are many other procedures like a somnoplasty that can be performed to stop snoring and prevent sleep apnea from occurring. You should continue to be monitored by a doctor when looking into these procedures and make your decision under a doctor’s recommendation only. Some procedures do not effectively treat sleep apnea, so it’s important that you know what you are getting into. Is an Injection Snoreplasty a realistic solution to Stop Snoring? Adenoidectomy to stop snoring- How adenoids affect snoring and alternative solutions to an Adenoidectomy?